Good for home, traveling, Beauty Salon...etc. 5. 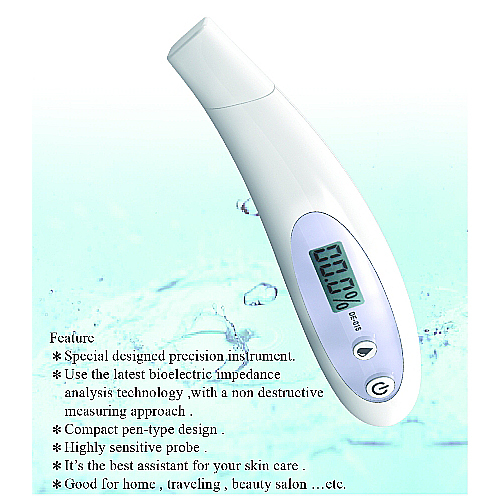 The instrument utilizes the latest Bioelectric Impedance. Analysis (BIA) technology. 7. Reset to zero: 5 secs. with sound of BI-BI. 8. 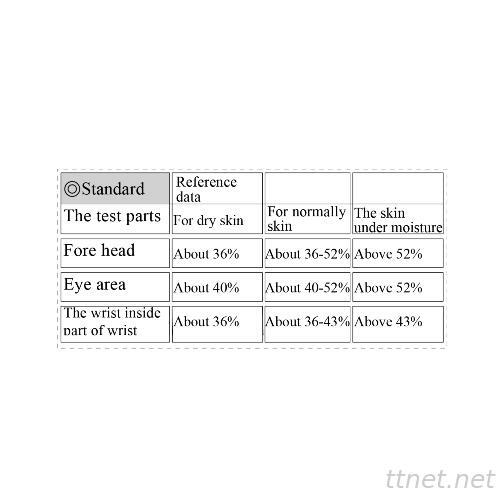 Sonorant institute: the button with sound of BI-BI ' finished the test with sound of BI. 9. Low power consumption. save more energy and save more money .turn off within 30 secs. Automatic. UUU error message on the display screen. 11. Power supply: 1x3.0V CR-2032 Battery. We mainly export the latest beauty projects to beauty salons and supply the distributors with Hair care products and Skin care basic beauty devices for all kinds. OEM and ODM service provided. 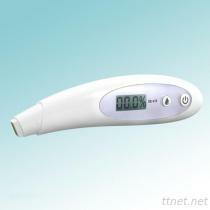 Portable Digital Skin Moisture Meter. Professional and Durable. Good Quality, Beautiful Appearance, Attractive design. OEM and ODM service provided. Cuidado pessoal, Cuidado de pele, Pele Care/n.e.s.